I was at my son's baseball practice today. On an adjacent field the left fielder fell awkwardly trying to catch a ball during a game. He didn't even come close to the ball and remained on the ground while the center fielder ran after the ball. After time was called, the left fielder's dad ran onto the field to attend to his son. That's a major no no. The kid wasn't hurt, he was embarrassed. I coached for years and I found that most injuries were nothing more than minor scratches or bruises. And a large percentage of "injuries" were feigned to divert attention away from a mistake made on the field or an embarrassing moment. If a kid is pretending to be hurt to avoid embarrassment, the last thing he or she wants is to have his or her mom run on the field. Talk about embarrassing. 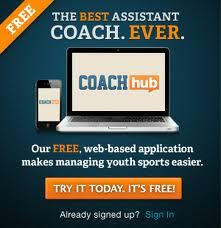 Parents, let the coaches take care of the situation. They will call you on to the field if you are truly needed. 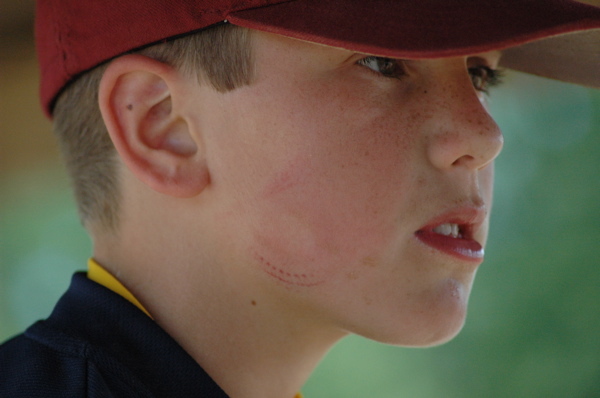 During the second to last baseball game of the year two years ago, my son was hit in the face with a fastball. I jumped out of the stands and ran toward the field expecting to see blood and teeth on the ground. I wanted desperately to be with my son, but I knew the unwritten rule and held myself back. I stayed behind the fence nervously biting my fingernails. The coaches attended to my son. After 10 minutes, my son got up and made his way down to 1st base. He ended up stealing second and eventually scored the winning run. The win qualified my son's team for the championship game of the tournament. During the 1 hour wait for the start of the championship game, my son iced his face to keep his eye from swelling. I was not sure if he would be physically able to play in the championship game. If able, I was not sure if he would have the courage to get into the batters box again so soon. I will not doubt him again. When it was his turn to bat he walked up to the plate with confidence, he crowded the plate per usual and he lined a double into the gap. His team won the championship and I was so proud of his courage. He loved the lace marked bruise. Parents should not go on the field or court when their kids get hurt, unless it is an obviously serious situation.